Did you know that environmental factors can have a harmful effect on your skin? Sun exposure, among other factors, may damage your skin and predispose you to serious conditions. Everyone loves to look good, right? It is your role to protect yourself from the harmful effects of ultraviolet rays. 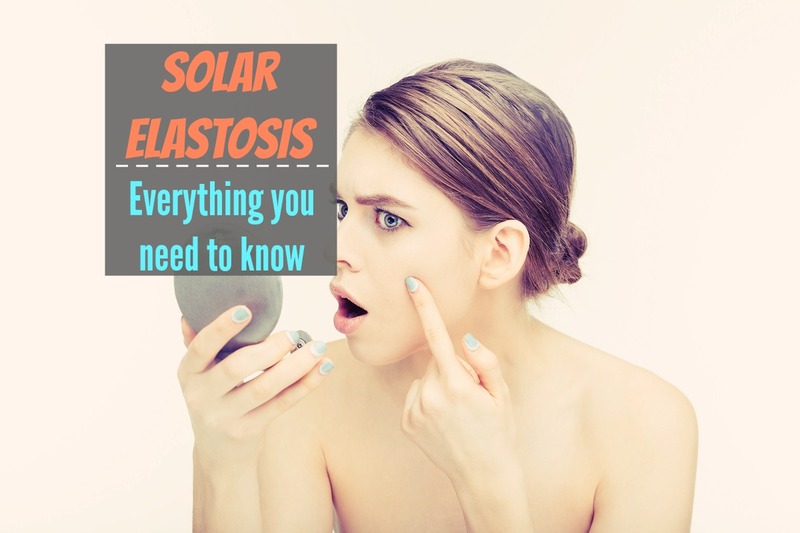 This article offers in-depth information about solar elastosis covering the causes, symptoms, prevention and various treatment options. This condition is derived from two words; Solar, a term that refers to the sun and elastosis, which comes from the word elasticity. How Does The Condition Manifest? This condition results in changes such as skin thickness, wrinkles and yellowish color. In some cases, the skin may have pigments with scattered spots on the forearms. Depending on the magnitude of sunlight exposure, solar elastosis can take as long as three decades to manifest. The condition affects all skin types, but people with lighter and fair skin are at a high risk of suffering from solar elastosis. The degeneration of collagen in the skin after excessive exposure to sunlight is the primary cause of solar elastosis. Thickening of the skin results from the deposition of the elastic material in the dermis layer. As the number of degenerated collagen increases, the cellular structure of the dermis reduces thus increasing the number of waste materials. As a result, the blood vessels under the skin dilate causing a detrimental effect to the skin. The American Cancer Society states that UV rays are the main cause of skin damage. (3) The rays invade the neutrophils which play a role in damage of cells mainly elastic fibers and collagen. As a result, your skin appearance fades due to the formation of wrinkles. UV radiation also increases oxidative stress by providing reactive oxygen(4,5). An increase in oxidative tension contributes to skin damage resulting in activation of the photo-ageing process. The diagnosis of solar elastosis is made by running physical and clinical investigations. Any noticeable changes on your skin warrant thorough examination. Your doctor may also take a sample of the skin for analysis in the laboratory depending on the damage. Lab investigations on the sample involve microscopic analysis and skin biopsy. The dermis layer of the skin appears bluish in color due to the accumulation of degenerated collagen and elastin. Repeated exposure to the sun is the major predisposing factor to solar elastosis. People working under the sun are more prone to the condition. Those with light skin bear the most effects of the condition. According to the Primary Care Dermatological Society, tobacco smoking increases the rate of early skin aging. (6) Tobacco contributes to the synthesis of Tropoelastin which has an effect on the formation of new collagen causing degeneration. Solar elastosis usually manifests as a sign of photo-ageing. » Thickening of the skin due to deposits of degenerated collagen and elastin tissues. » The yellowish color of the skin with uneven pigments or spots. » A rough texture of the skin. » The skin dries up and loses natural moisture resulting to scaling. » Pigmentation of exposed skin. There are different treatment methods for this condition. This treatment method involves the application of ultraviolet light on the damaged skin. Your doctor has to test the receptiveness of phototherapy on your skin to determine the best option. You may repeat the procedure several times to yield significant results. Before treatment, it is advisable to apply a skin moisturizer on the skin area since this increase the effect of light. The doctor applies chemical compounds to soften the skin’s texture which enables peeling. Chemical peeling reduces fine lines that form around the eyes and mouth as well as wrinkles on the skin. As the skin peels, scars and pigments clear up and lighten the skin. Due to the removal of damaged skin, the results are soft and beautiful skin. After chemical peeling, the skin becomes sensitive to the sun. It is advisable to apply a high SPF sunscreen. It should be broad-spectrum, meaning it can protect from UVA and UVB sun rays. A sunscreen lotion with a sun protecting formula SPF of above 30 is essential. In addition, you should limit the time you spend under direct sunlight. If it’s unavoidable, wear a hat with a wide brim. Laser resurfacing is another treatment applicable to the treatment of solar elastosis. The process involves the use of lasers to send out high-energy light to affected skin areas. Chromophores are substances found in the skin which absorb the light. It results in the conversion of light to heat energy. Laser resurfacing causes little or no damage to surrounding skin during treatment. 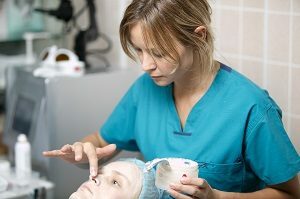 The process is done on the face but has the same effect on other parts of the body such as the hands, neck, and chest. » Cleaning and marking of affected areas. » Local application of anesthesia to numb the sections before treatment. » Passing of the laser. During this phase, the skin should be wiped using a saltwater solution. The aim of wiping is to calm the skin and remove tissue after laser destruction. The frequency of laser application depends on the extent of skin damage and the type of skin. » After laser treatment, the doctor covers the skin with ointment and dressing. After surgery, the skin becomes tender and swollen for a few days. Your doctor can prescribe anti-inflammatory drugs and painkillers to reduce pain and swelling. Proper skin care will enhance the healing process. You should rinse skin using clean, cold water and avoid face washes or soaps. You should also change the ointment and dressing. Once peeling of the skin stops, you should wear a sunscreen lotion for increased protection. Dermal fillers are useful for clearing wrinkles and fine lines caused by skin damage. 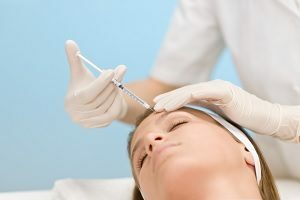 Your service provider uses small fine needles to inject the fillers directly into the skin.Injection of dermal fillers may cause little swelling around the site of treatment but clears in a short period. Your doctor may recommend painkillers if you experience pain. These injections reduce the appearance of facial wrinkles. Topical numbing is essential at the site of injection to reduce pain. The doctor injects the Botulinum toxin into the skin using a thin, fine needle. You should not rub the area to prevent swelling. According to Mayo Clinic, Botox injections take a short period, and the results are quick. (11) However, it may not apply to severely damaged skin. The best way to prevent skin damage from sun rays is to avoid direct exposure. Periods between 10.00 and 14.00 hours present the highest ultraviolet radiations. » If you have to be out in the sun, wear lotions with a high sun protecting formula. An SPF rate of 15 is proper. » If you are frequently exposed to sunlight, wear protective clothing such as wide-brimmed hats, sunglasses, and skin covering clothes. » Quit use of tobacco and avoid exposure to passive smoking. Seek professional help in case your skin shows change. Such changes include dryness, painful sunburns, and appearance of spots or blisters. Solar elastosis causes damage to the skin over a long period. Simple effects of sun exposure may lead to the condition if immediate measures are not put into place early. » Solar elastosis is a treatable condition. However, early treatment offers long term results. » The symptoms of the condition are noticeable. You should seek help if you notice an abnormal change of your skin. » Several treatment options are there but they depend on the extent of skin damage. » Proper skin care reduces the risk of contracting solar elastosis. Ensure you apply sunscreen when out in the sun. » If you have solar elastosis, visit your doctor and discuss the treatment option best suitable for you. » The skin requires moisture to avoid dryness and flaking. Therefore, hydrate and apply moisturizing lotions to the skin after bath.